The accord was signed at the end of six-year-long bloody anti-immigrants' agitation spearheaded by All Assam Students' Union to protect, preserve and promote identity and heritage of the Assamese. GUWAHATI: The Centre's decision to constitute a nine-member high-level committee for "effective implementation" of Clause 6 of the historic Assam Accord has hit roadblocks as six members opted out.The latest to snub the committee is former Union Tourism Secretary M P Bezbaruah, who was to have headed it. He said on Saturday that he would not be a part of it. "There is no point heading or being a part of a committee that doesn't have members," Bezbaruah said. He wrote to the Central government expressing his inability to head the committee. He was miffed that the Centre had decided on forming the committee without taking the members into confidence. The committee was notified on January 7 last and it was to have senior Guwahati-based journalist D N Bezbaruah, litterateurs Nagen Saikia and Rongbong Terang, educationist Mukunda Rajbongshi, retired IAS officer Subash Das, Assam's Advocate General Ramesh Borpatra Gohain and a representative of All Assam Students' Union (AASU) as members. The Central government was to have been represented by joint secretary (Northeast) in the Ministry of Home Affairs (MHA), Satyendra Garg. The first to reject the committee was AASU which demanded the Centre first scrap the Bill. Subsequently, Terang and Rajbongshi had opted out. On Friday, Saikia followed in the duo's footsteps. In a letter to MHA, Saikia, who is a former president of Assam's highest literary body "Assam Sahitya Sabha", expressed his inability to be a part of the committee. He wrote: "Taking up Clause 6 and overlooking Clause 5 will be a violation of the Assam Accord". Clause 5 refers to the detection and deportation of illegal immigrants. He viewed the committee's formation as farce given that the Centre was in no mood to resolve the issue of the immigrants. 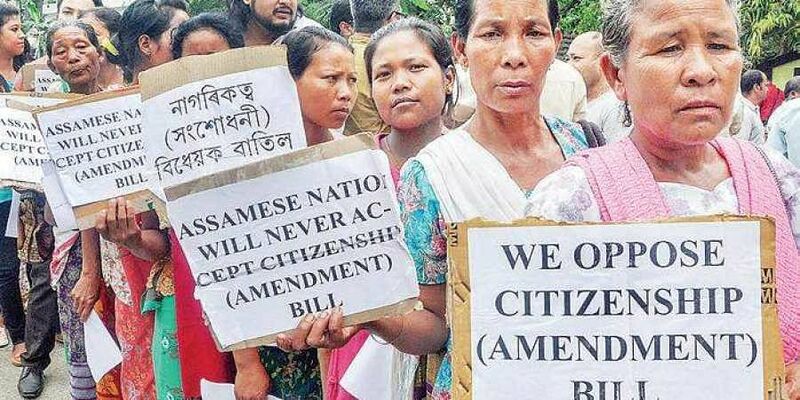 He felt that the government's move to grant Scheduled Tribe (ST) status to Assam's six communities was aimed at dousing the flames of ongoing anti-Citizenship (Amendment) Bill, 2016 protests. The Central cabinet's decision to form the committee was announced by Union Home Minister Rajnath Singh. He had said the committee would assess how much of the provisions in Clause 6 had been implemented since the then Rajiv Gandhi government's signing of the Assam Accord in 1985 with AASU and suggest ways and means for its effective implementation. The accord was signed at the end of six-year-long bloody anti-immigrants' agitation spearheaded by AASU. According to Clause 6, the government has to enact constitutional, legislative and administrative safeguards to protect, preserve and promote the cultural, social and linguistic identity and heritage of the Assamese people. Meanwhile, anguished over the Centre's move to pass the Citizenship Bill, the families of anti-immigrants' agitation martyrs have decided to return the awards (memento and citation). The awards were conferred by Assam's BJP-led government in 2016. Amidst the uproar against Citizenship Bill, Sahitya Akademi awardee Rita Choudhury has resigned as director of National Book Trust. She did not cite any reason behind her resignation.